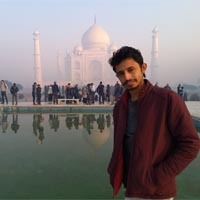 As I have written in my last post that “I will share my experience of Taj at Sunrise”, so keeping this in mind, like others here is my effort in glorifying the beauty of Taj Mahal. I am starting this with some questions just to make it more precise. Have you ever seen the boundless beauty of Taj? Have you ever felt the aroma of love which is shrouded at this monument? 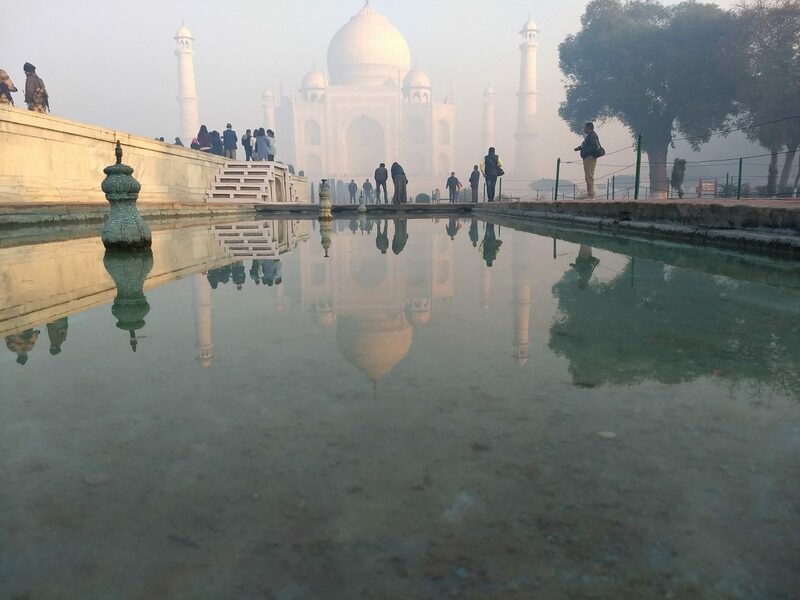 Have you seen the image of Taj given by the ponds over there in the early morning? Have you ever screamed, “where is the Taj” when fog covered the whole arena?. If yes, then you know very well that here what I am going to share and if no this post is only for you. I have done all the things, I felt the love, I saw the endless beauty and honestly, I just screamed off “where is the Taj”. On 17th Jan, Wednesday, it was a 6’o clock and literally I was dreaming. Suddenly, my phone rang and it was a call from my brother-in-law, who was residing in the room adjacent to mine. He was the only one due to which I made it to Taj Mahal in the morning (A big thank for him). We both reached Taj at 7’o clock and bought tickets 40 for each as we are Indians. There were queues in order to get an entry from the main gate. I could able to see people who came from different parts of the world and they all were waiting to get an entry. It was clear and suddenly mist started covering the whole area and second by second it got more denser, the excitement crossed all its limits. 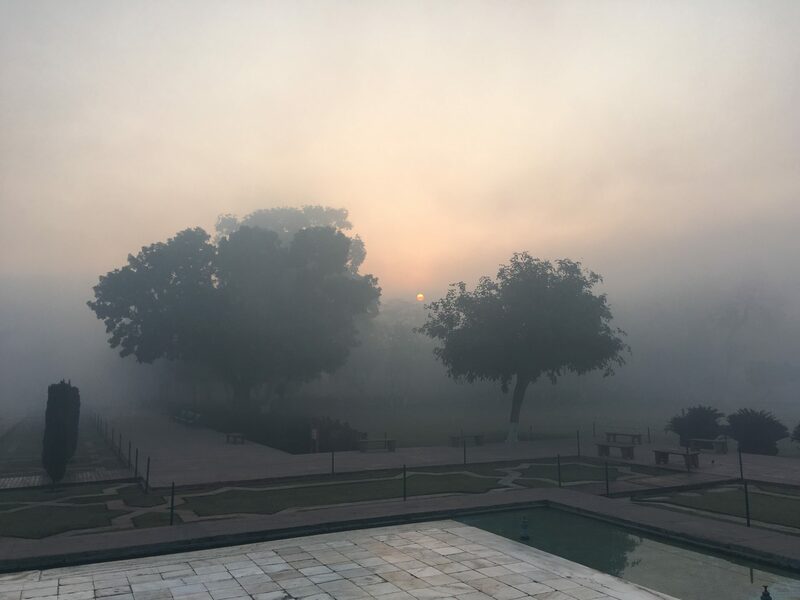 At 7:15 AM, we entered from the west gate of Taj Mahal, people could barely see anything because the dense fog was omnipresent. We entered in the arena where many fountains, small gardens and ponds were there, all were covered by mist. People were grinning at each other faces because we all weren’t able to see Taj yet. 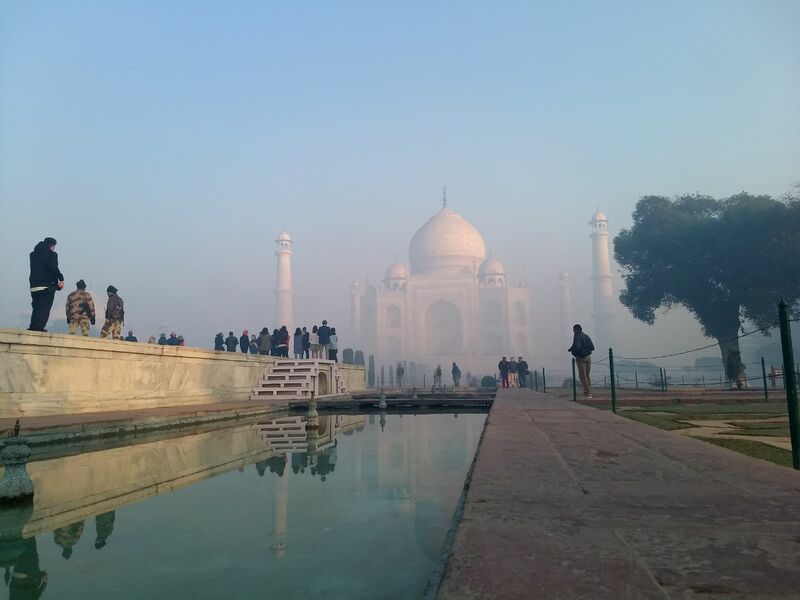 I asked my brother-in-law “where is the Taj” and he said, “It is having a unique stance and standing in the right front of us, but we cannot see it till the sunrise”. 7:30 was clicking on the watch and sun rises from the Far East, the moment was so mesmerizing that I can spend a couple of days in watching it only. 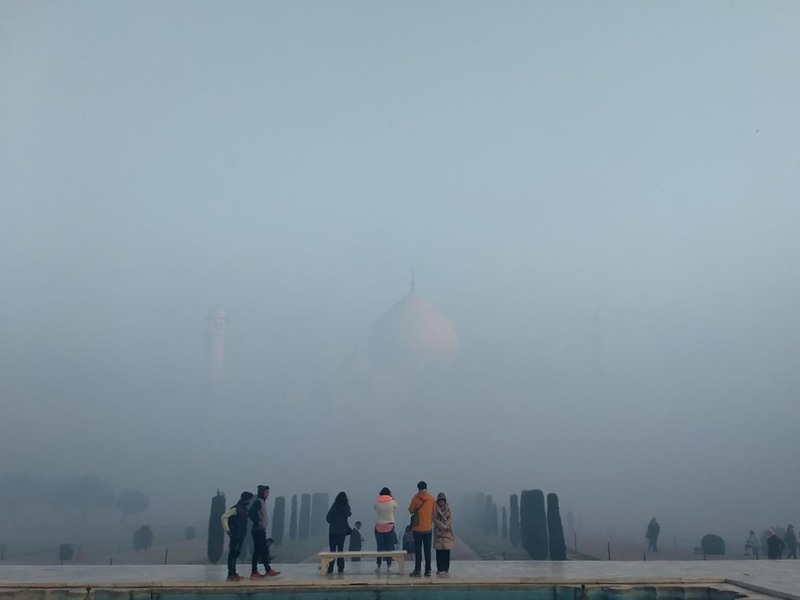 As the sun turns out, the mist started disappearing and we people now could able to see the taj dome first and rest slowly slowly. It’s almost impossible to have that moment without feeling awestruck. One of my good friends used to utter some beautiful lines and these are “Love is better of as virtual, you should feel it from far, rather not touch it because once you do, and the love has gone”. And the same I was feeling while standing in front of it. I felt handicapped and I don’t want to touch the marble which is used in building this artifact. Even I couldn’t step on the marble floor of it but very soon I am going to revisit this monument so that I can able make a way to appear in the list of those fortunate ones who had experienced the beautiful work done on it. Let’s not have a talk of future because no one knows what will happen. This wonder of the world has a characteristic which is strong enough to appeal people to fall in love with this monument and people found spellbound to it. 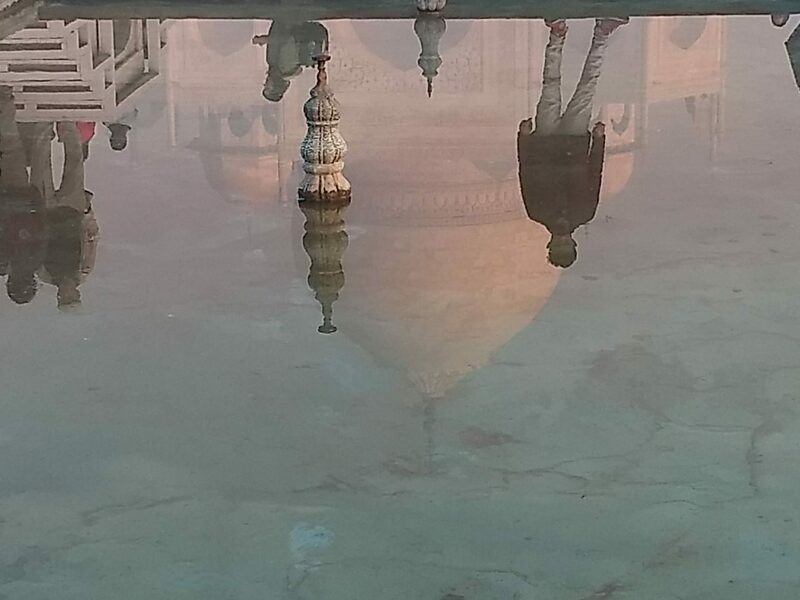 The characteristic is, as the daylight change, the marble reflects the same, means in the morning the sun used to be orange so Taj also appears orange. 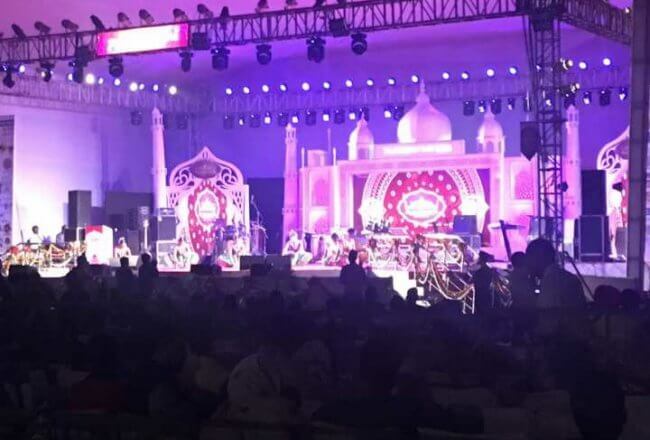 From my point of view that is the best time to experience the Taj Mahal. I was standing at the right front stage and watching the whole show, damn beautiful show in amazement. 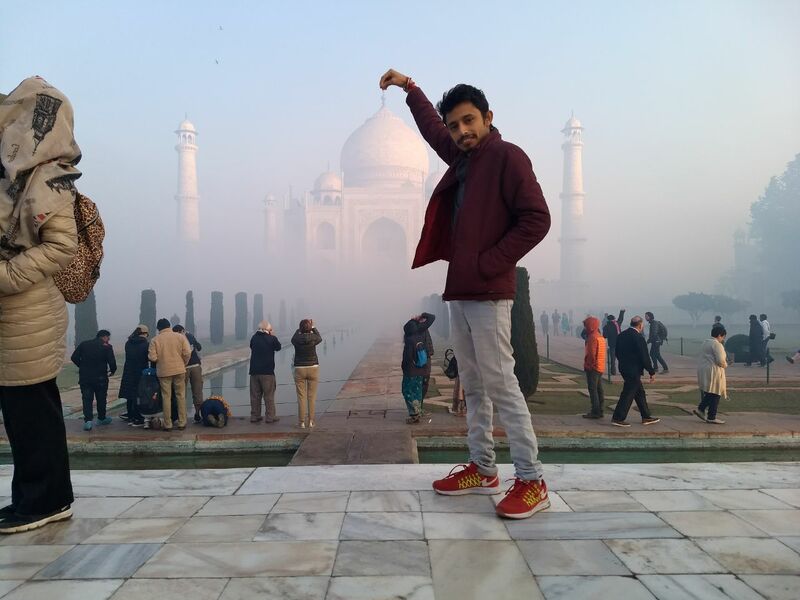 People were clicking pictures, some were giving their best poses and some were trying to copy the stance of Taj Mahal. Photographers were advising people to stand like this or in that way (like the one I had). I was clearly able to listen to some praiseworthy words which were uttered by every single person who was there with me. Last but not the least, here is a tip, please don’t take books, diaries or any of the drawing material because all these things are not allowed to take in (because cops not allowed me to take my journal in and it was clearly written over there). Apart from this, we had a great time over there, we clicked many pictures and out of those best ones here are very few. If it is appealing than you could ever wish to explore with a marvelous piece of creation. 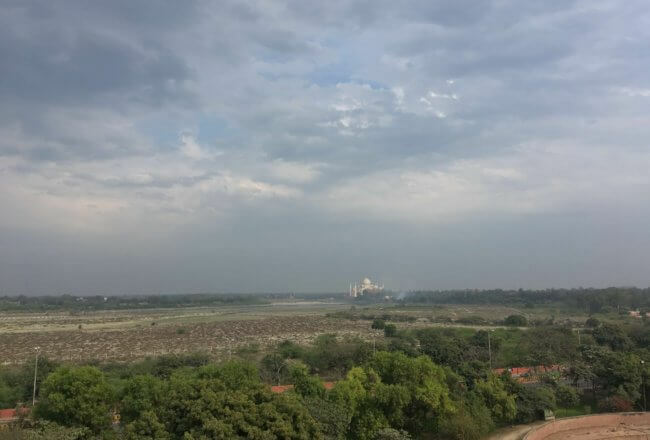 There are lots of things about Agra which I have to share with you all. Till then stay happy, stay cool and keep the things neat and clean. Are you on board?. Photography is also done by you ? No, I don’t want to take credit, we both have done this. 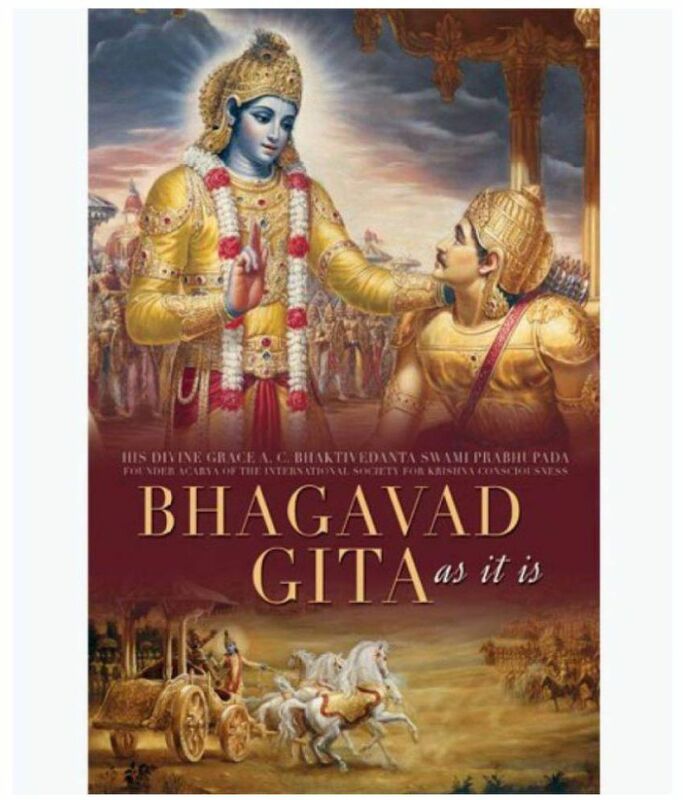 So discriptive,really enjoyed reading it. So true and discriptive, waiting for you to write books now!!! 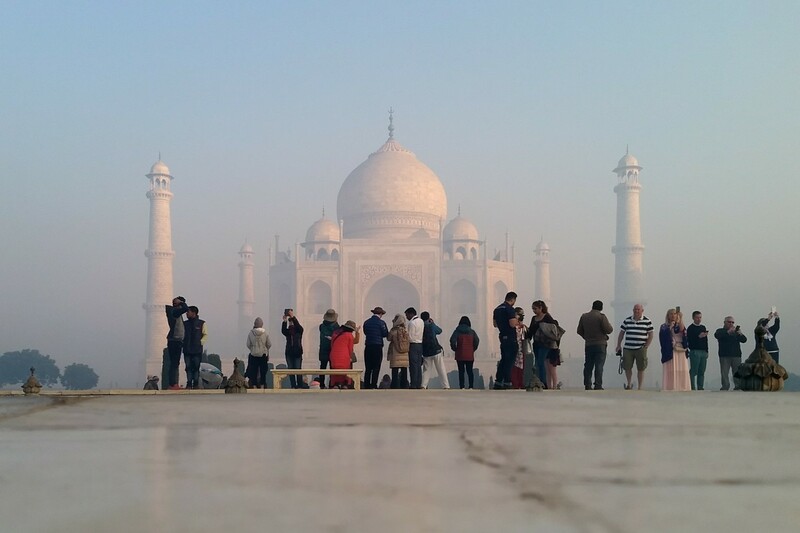 From the perspective of Shubham Bhaiya today, the Taj has been so beautiful for the first time. I don’t know who quoted that lines but they are awesome and wow thats the great experince that we can virtually view though your blog a great thanks to u and really nyc work hope to see something from a keen observer waiting fr the next post mr.blogger shubham ???????? Thank you, brother and I will never lay down your expectations. Glad that you liked my stuff.